Hire space at 20-21 for your meeting or event from as little as £12. We offer a contemporary, bright, spacious room for up to 40 people theatre style and 30 people board room style, overlooking the tranquil gallery garden. Flexible seating arrangements : Board room, cafe, theatre and classroom style. 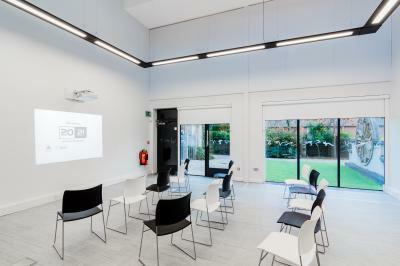 Equipment hire available from £5: Digital interactive projector, flip chart, laptop, CD player. Hire by the hour, session or day. Refreshments and catering are available from our on-site café. Buffets are available for groups of 10+ people; smaller groups are welcome to order from the menu in the café. Other spaces including the former church building are available at limited times during the year and we are also available as a filming/photography location. 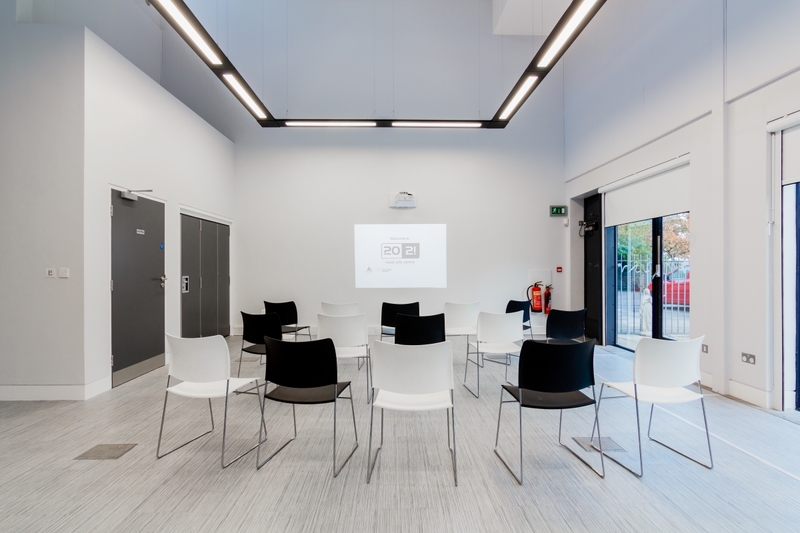 Contact us to see if a full or partial venue hire for events and functions is possible for your chosen dates and to discuss requirements. Please note: We do not hire out exhibition spaces to artists, please visit the information for artists page.